In a major breakthrough, a smart manufacturing project of Baosteel Co. Ltd has given the industry the first four robots in use to achieve as much operational automation in as little time as possible. The futuristic development at Baosteel No. 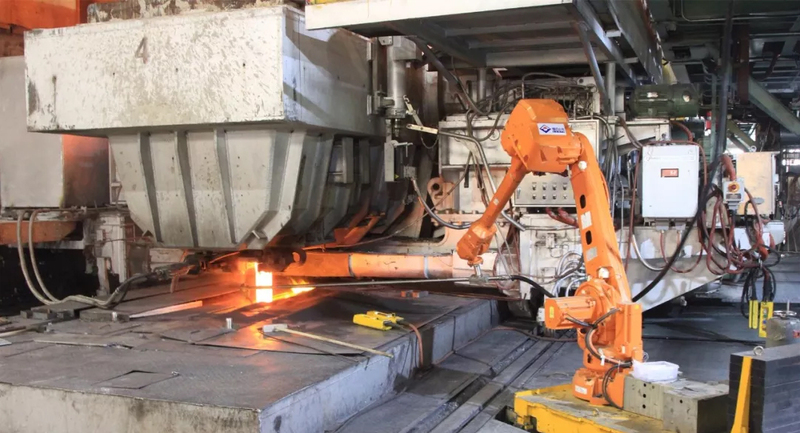 3 caster at Baoshan Base Steel Works has helped ensure accuracy, efficiency as well as safety while reducing mounting pressure on human workforce and mitigating intense workload by employing the four robots that work in simultaneity. While one is being used to receive the ladle, another is in use in the tundish area. The other two are crystallizers that come armed with mold protection slag. The steel company is benefitting greatly from the far-reaching impact of smart factory, an influential trend of Industry 4.0. Following just four months of pilot run, the test results proved favourable since they reflected that function coverage, precision, level of automation and other factors on the new line boast ofcutting edge in the global sphere. The said caster was put into production in December 2004. Long service period, aging equipment and obsolete technology kept the plant from meeting market demand for continuous casting billet quality. This compelled the plant to execute an all-inclusive transformation. It also made the wise decision of manufacturing with local jobs and the robots would carry out the tedious yet significant task of automatic steel casting. Assessment after over four months of operation has shown that the new line features, such as full-featured operations, accuracy in job performance, and levels of automation have touched never seen before new heights of international levels. Presently, No. 3 casterboasts of four skilled robots that is adept at production line simultaneously. Needless to say, this has significantly shrunk both workload and labor intensity of first-line cast steel workers while also eliminating the risk of operational errors that are commonly committed in the manual mode. Besides, the interface between people and equipment had drastically subsided. All the advantages when factored in have led to great improvement in levels of intrinsic safety and the quality of slabs. Industry 4.0 is a term given to the prevailing revolutionary trend in automation and data exchange in manufacturing technologies. An integral product of Industry 4.0 is a smart factory, which replicates the physical world by creating a virtual copy of it. This advancement has paved the way for the production of high-quality product at low cost by bringing together automation and computers. Another feature of a smart factory that makes it extremely lucrative is autonomy achieved through decentralized decision making. This is made possible by cyber-physical systems that keep a tab on the physical processes of the factory. One of the largest steel plants of the world, POSCO Steel Plant based in Korea, has successfully capitalized on the potential of introducing advanced Artificial Intelligence Technology to its smart factories in order to facilitate the manufacturing of automotive coated steel efficiently. 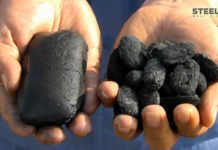 The decision to adopt ‘Smart Solution for Coating Weight Control Based on AI‘ has proven to be a game changer for the steel giant, which has managed to considerably alleviate the deviation of coating weight by using artificial intelligence and also minimizing waste while yielding high quality product at lower production cost, thereby resulting in optimization. What’s more, with the introduction of AI in smart factories, gathering extensive types of data in real time, while accurately predicting as well as controlling target coating weights has become a reality for POSCO.